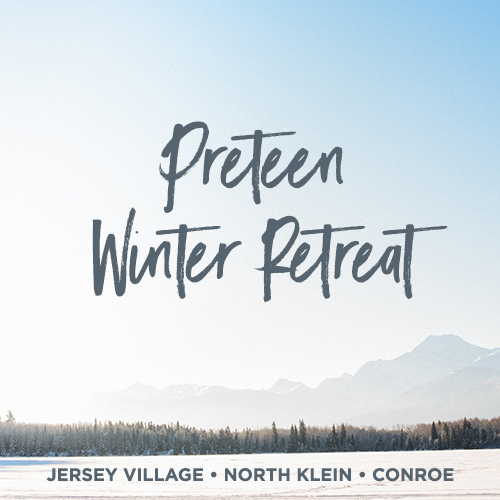 Conroe, Jersey Village and North Klein 3rd-5th graders: Join us for our first ever CFBC Pre-Teen Winter Retreat – Feb 15-16 @ the JV campus! This is an overnight Winter Retreat for 3rd-5th graders to start the new year off with friends and fellowship! Pre-teens will dig into God’s Word, enjoy Worship Sessions, an afternoon at Urban Air and games! $65 includes Food, Shirt and Urban Air. Registration is now open!